Welcome to our FREE Spring Draw page in which we introduce your chance to win £300 of skin health, facial cosmetics or wrinkle reduction treatments from our range of services at Balsall Common Dental Practice. All the FREE Draw Winner’s Prize selections shall be provided to our Winner under the friendly stewardship of our popular, caring Dentist Dr Catherine Myatt. To Enter Text FACIAL to 07480 488 434 or complete the entry form below. After years of expensive, frustrating trials and tribulation in search of solutions to her personal skin concerns, our very own Dr Catherine Myatt unearthed a revolutionary skin health system that changed her life and indeed ours at Balsall Common Dental Practice. Upon finally achieving the results of her skin health dreams, Cath quickly convinced us Dr Zein Obaji’s revolutionary ZO Skin Health products and protocols should be added to our range of facial rejuvenation product and services. Her case was compelling. What Cath had discovered was a skin health Company with a fine reputation built upon groundbreaking Research and Development, plus decades of groundbreaking, clinically proven trials. 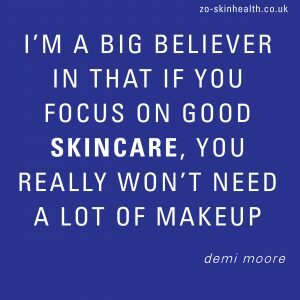 In ZO Skin Health we had discovered a business philosophy that met our Practice Values and ethical standards, with a shared focus on preventative health, in stark contrast to the standard skin care industry practice for tackling symptoms of imbalance or disease. 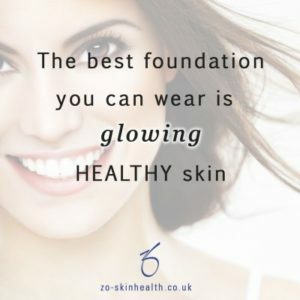 We are extremely proud to promote ZO Skin Health products, all of which are clinically proven and designed to revitalise skin renewal at the cellular level. This work results in healthier more natural skin cycles, reversing the effects some big name products have of slowing skin renewal cycles down. Having been an Authorised ZO Stockist for the last two years, Cath is excited to include the ZO Skin Health range in our £300 Prize Draw Winner’s options and cannot wait to reveal the transformations we potentially have on offer. Unlike the majority of over the counter solutions, the ZO Skin Health philosophy is about developing solutions which encourage healthy skin renewal at the cellular level. It’s about waking up dormant cells and restoring a natural skin renewal cycle. As our prize winner you may choose to have your skin brought back to life in a way you haven’t experienced in years, by returning to a more youthful healthy renewal cycle the ‘ZO Way’. Dr Catherine Myatt became an authorised stockist for Dr Zein Obaji’s revolutionary product ranges in early 2017, inspired by her own personal epiphanies as one of the Company’s overjoyed skin patients. Win £300 of Skin Health, Facial Cosmetics or Wrinkle Reduction Injections. To Enter Text FACIAL to 07480 488 434 or complete the entry for below. 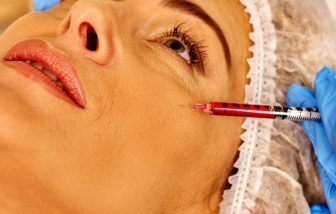 One of Cath’s popular skin beauty services is wrinkle removing injections which use medical proteins to target facial muscles and relax them in a way that makes frowns and wrinkles less obvious. All injection based treatments are invasive and should only be prescribed and administered by appropriately trained healthcare professionals. Dr Catherine Myatt’s experience as a Registered Dentist means she possesses extensive knowledge of head and neck anatomy, making her well placed to deliver this and other facial cosmetics procedures. Enter the £300 Prize Draw Now! By completing this form you consent to us communicating by email or telephone. The Prize: A FREE consultation worth £95 plus Winner’s choice of up to £300 of products and services from the Balsall Common Dental Practice ranges of Facial Cosmetic, Skin Health and Wrinkle Reduction treatments (which includes access to ZO Skin Health and BOTOX. All our services including those given as prizes are subject to our Quality Care Charter and product protocols all of which require attendance at a FREE consultation prior any treatment or product being provided. Prizes have no transferable cash value and cannot be used for for products or services or services outside the skin health or facial cosmetics range. Text entries will be charged at the sender’s standard network rate. All entries must be made with the bill payer’s permission. Entrants Must be 18 years of age or older on the closing date of 31 March 2019. The winner is picked at random using an independent computerised system. Balsall Common Dental Practice is a friendly Dental Practice providing general dentistry, as well as a full range of advanced solutions in dental cosmetics, orthodontics and implant dentistry. Principal Dental Surgeon Dr Ashley Davenport. General Dental Council Registration Number: 70884. 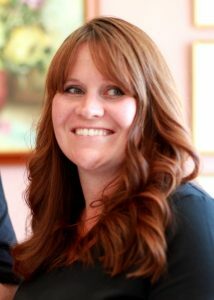 Associate Dentist Dr Catherine Myatt. General Dental Council Registration Number: 70668. Dr Catherine Myatt is also an authorised Practitioner and Stockist fully trained in the ZO Skin Health product ranges and protocols. Balsall Common Dental Practice Limited is Registered with the Information Commissioner’s Office (ICO). ICO Reference Number: ZA021801. Balsall Common Dental Practice, 201 Station Road, Balsall Common, Coventry, West Midlands CV7 7FD.